Ecommerce Shop / Online Business of a wide range of products which include laser printer toner. 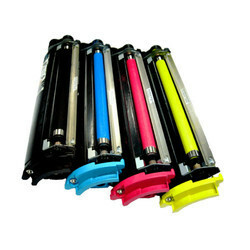 The customer can avail from us quality Laser Printer Toner, which is a powder used in laser printers and photocopiers to form the printed text and images on the paper. In the initial days, only the carbon powder was used as a toner but recent developments caused many other elements to be used. These toners have been checked on various print modes and formats and these produced excellent results. Looking for Laser Printer Toner ?